Are you experiencing symptoms of dizziness? Do you ever feel like the room is spinning around you? 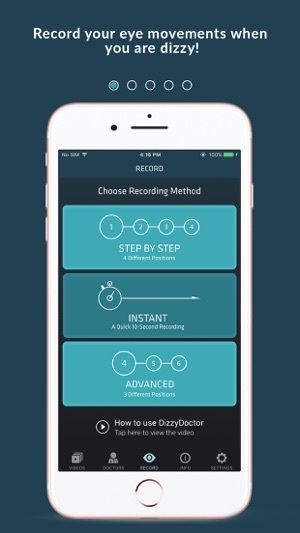 The DizzyDoctor App is a unique application that was designed for the diagnosis of a condition called benign paroxysmal positional vertigo (BPPV). BPPV can cause sudden episodes of a room spinning sensation with changes in head position. 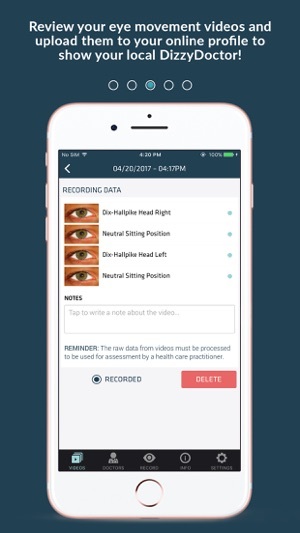 The DizzyDoctor App uses your iPhone’s camera and internal gyroscope to guide you through four testing positions (called the Dix-Hallpike test) while recording your eye movements. The patterns in your eye movements (also called nystagmus) are useful tools that your physician can use to diagnose and treat your dizziness. 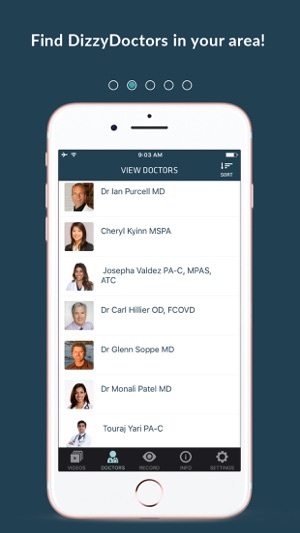 The DizzyDoctor App allows you to record and store multiple testing sessions and then upload them to an online patient portal at www.dizzydoctor.com so that your physician may view them at your doctor’s appointments. 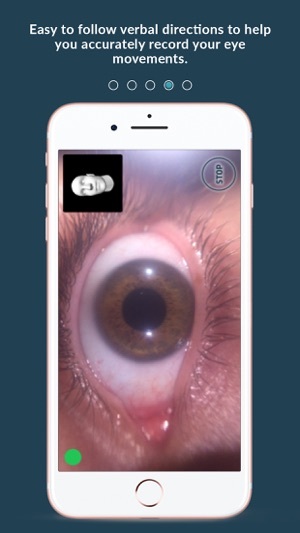 The physician may utilize the eye movement data collected during the dizzy event to help differentiate a differential diagnosis of episodic vertigo that may include: BPPV, Meniere’s disease, migraine, viral neuronitis, etc. This app is designed to be used with the DizzyDoctor System from DizzyDoctor Systems LLC. The DizzyDoctor System also utilizes the Vertigo Recording Goggles (VRG), which hold your iPhone in proper placement with ocular illumination during the recording session. 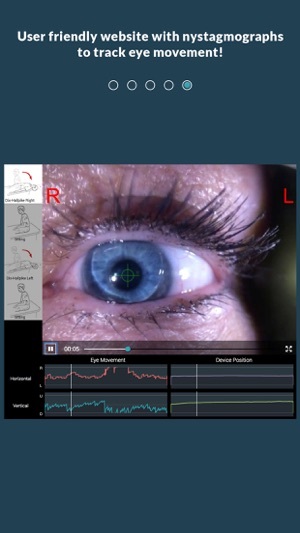 To learn more about the DizzyDoctor System and purchase a pair of Vertigo Recording Goggles, please visit DizzyDoctor.com or ask your local physician who specializes in vertigo and imbalance.